Located near San Francisco International Airport, our venue provides excellent access to Bay Area transportation as well as all the city has to offer. Located near San Francisco International Airport, our venue provides excellent access to the bay area, transportation, as well as all the city has to offer. Gateway Management has on-the-ground knowledge of the area’s best restaurants, hotels and shows to maximize your experience outside the conference. Our venue’s excellent location offers easy access to the entire San Francisco Bay Area. We have scouted locations throughout the region and find that the Westin San Francisco Airport offers excellent accommodations, a unrivalled meeting environment and tremendous value. However, if you are looking for accommodation separate to the event venue, there is a wide selection available. The Aloft (below), next door to conference location, is a great option. This event is best accessed by-way-of San Francisco International Airport. A hotel shuttle leaves every 20 minutes from SFO, directly to the event location. Oakland International Airport offers another convenient traveling option for our non-local guests and can be accessed by BART trains or taxi cabs. 1 Old Bayshore Hwy, Millbrae, CA, 94030. For those who want to stay at the conference venue. 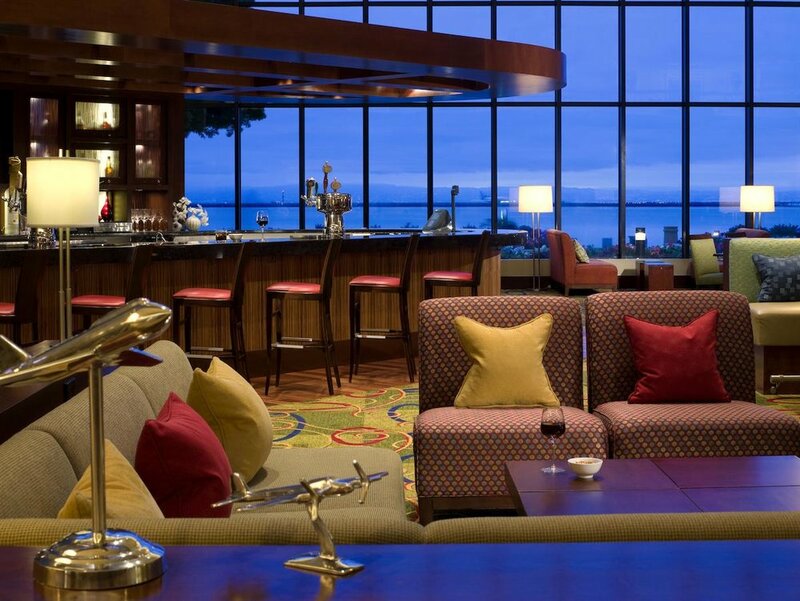 Located in Millbrae, California, this San Francisco Airport hotel enables guests to explore the Bay Area with ease. Guests can enjoy complimentary airport shuttle service, making your travel to and from the airport as effortless as possible. 401 East Millbrae Avenue, Millbrae, CA, 94030. Located a half-mile from San Francisco International Airport and a short drive from downtown, this San Francisco airport hotel offers a free 24/7 airport shuttle making travel a breeze. Aloft SFO perfectly blends design, style, and technology providing a forward-thinking alternative for the savvy traveler. The vibrant social scene of W XYZ® bar features live music four nights a week, signature cocktails, and tasty bites, the perfect spot to mix and mingle with friends and colleagues. 1333 Bayshore Highway, Burlingame, CA, 94010. 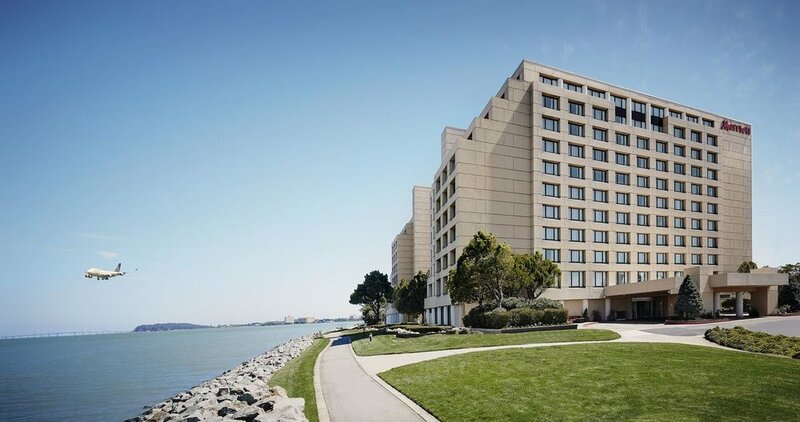 The Hyatt Regency San Francisco Airport is conveniently located in Burlingame, situated between downtown San Francisco and near many Silicon Valley industries. Designed for the business and leisure traveler, this San Francisco Airport hotel is the perfect starting point for vacationers to explore the Bay Area or executives on the go. 1800 Old Bayshore Highway, Burlingame, CA, 94010. With strategic focus on offering an unbeatable hotel experience, San Francisco Airport Marriott Waterfront features redesigned accommodations that cater to today's tech-savvy travellers. 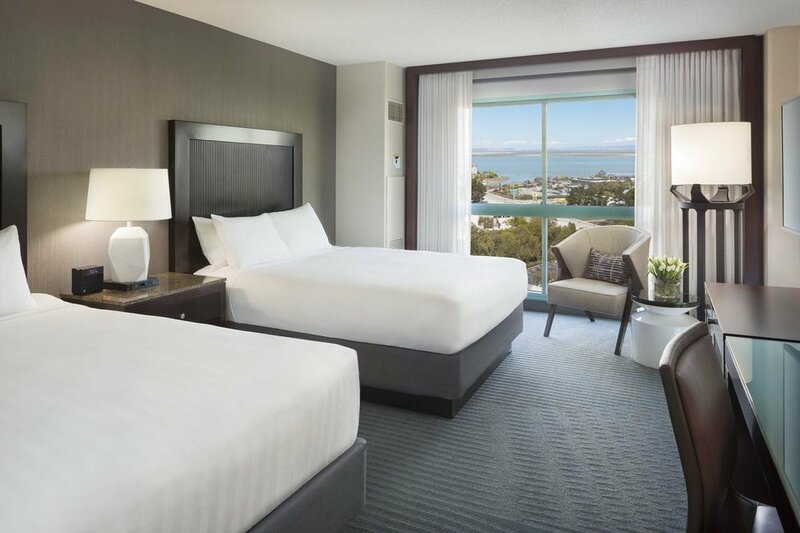 Positioned by the bay, this Burlingame hotel boasts state-of-the-art amenities and complimentary shuttle service to and from a BART subway station and San Francisco International Airport (SFO), just 1 mile away. Transformed guest rooms feature soundproof windows, locally inspired art and intuitive designs including platform beds, expandable closets, multi-use surfaces and spa-like bathrooms with walk-in waterfall showers and hand-held wands.